As a border community, the Episcopal Diocese of San Diego is a leader committed to social justice. Even as Jesus went out of his way to include as many people as possible, so we as baptized Christians living in a transitional time and in a border culture, must engage the challenges of immigration reform, socio-economic disparities, and bi-cultural complexities. We seek, as ministers of the gospel, to link arms with one another, regardless of skin color or ethnic background, and share God’s love for the world. The diocese hosts two Latino/Hispanic events each year: the Latino/Hispanic heritage day in September and the celebration of Our Lady of Guadalupe in December. Latino/Hispanic heritage day occurs during National Hispanic Heritage Month, which celebrates all Hispanic and Latin American cultures in the United States. It is the culmination of the Latino/Hispanic Leadership Project, an eighteen-month initiative to raise Latino/Hispanic leaders in this diocese. Each year, the celebration at St. Philip’s, Lemon Grove includes fine cuisine, games, inflatable playgrounds, Aztec dancers and mariachi. Our Lady of Guadalupe is a celebration held on December 12 in honor of the Virgen de Guadalupe, the patron saint of Mexico. The celebration includes Aztec dancing, mariachi, and a large meal. The Our Lady of Guadalupe celebration is one of the most important celebrations of the year in Mexican culture. Because the Episcopal Diocese of San Diego borders Mexico, we have invested in training Latino/Hispanic leaders using the consensus organizing approach. This is a community organizing method that connects previously disjointed groups to form positive partnerships. Rather than using a style of conflict organizing, which dictates one party must win while the other loses, consensus organizers believe that all parties win. This is done by identifying the self-interests of collaborative partners and developing goals that fulfill all parties’ self-interests. 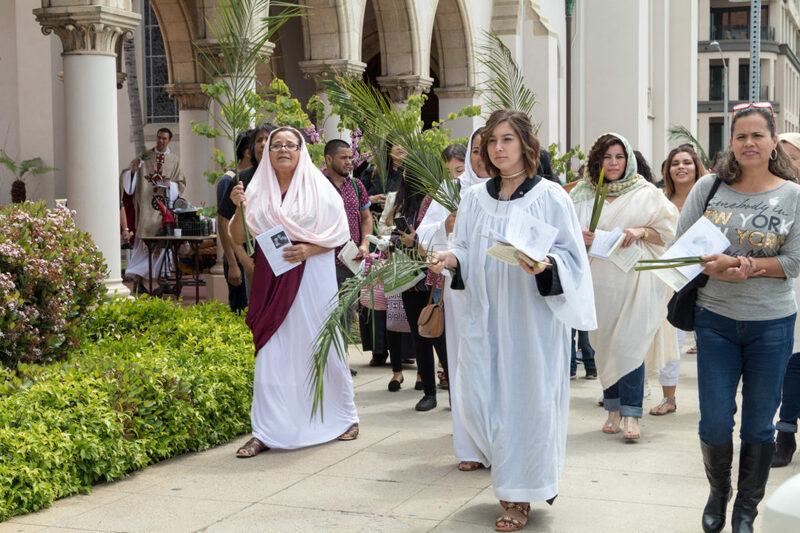 The Consensus Organizing Center (COC) trained 50 Latino/Hispanic leaders for the Episcopal Diocese of San Diego and developed one advocacy group in 2014. The advocacy group acts as a viable leadership group to help reach goals. This project took place over a twelve-month period. These steps ultimately created a sustainable community structure that includes a mobilization plan and activity of more participants in the church. For more information about the plan and activity, see the PDF below.